A mystery to be discovered by the children of God, only if we desire to be overshadowed by His Spirit. God’s will has been preordained, it has been predestined and this is what makes it so perfect. He said that He has made known His mysteries to us because we are His children. My mind had somewhat of a battle this morning. I wanted to share a message on 2 Kings, but The Spirit of the most high God wanted Ephesians. This morning The Lord wants you to know that it is according to His will. His perfect will which He has predestined. He wants you to know that He will change your current story. He wants you to know that your story is not going to stay the same, and that whatever He has predestined for you to do He shall surely do it. For this morning He wants to remind His children that it is not by what we think is right. This morning I thought that it was right for me to continue with what I wanted to share, but it’s not about me, it’s about His will. The Lord is trying to tell us something. Through His perfect He reveals His mysteries. His mysteries are only revealed to those that diligently seek Him, and yield to His will which is His Spirit. We want The Lord to speak but how can we hear His voice if we refuse to listen? 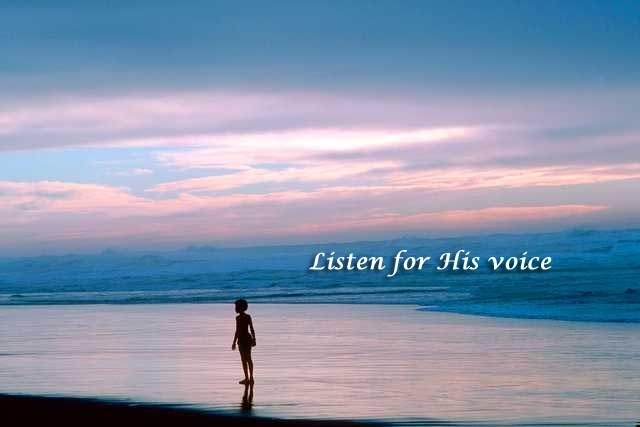 How can we hear His voice if we are struggling to trust Him. This morning The Lord wants us to put our flesh into subjectivity. The Lord is saying that the enemy must be silenced! Now He said is the time for my perfect will which I have predestined in your lives to be done right now according to My Spirit says The Lord! We must learn to say “Hush satan”. We must be still and know that He is Lord. Remembering also that God is not a God of confusion, oh no that is the role of satan. The more I wanted to move according to my own will the more confused I became as to whose voice I was hearing. Was it my own voice or God’s? God is a God of clarity. His voice is sound, it is clear, and reassuring. He said He has predestined His will! Do you know the meaning of the word predestined? According to the Oxford dictionary the word originates from God. God is the only one able of predestination. Destiny according to the dictionary is according to one’s own will. The controlling of your own destiny. He is a God of predestination! There’s no wonder why His will is perfect for it has been predestined! He is a God of reassurance. He reassures us, which He has adopted as His children that He has ordained us to carry out His will. He wants His children to know He does not work according to our ways. He is far above human reasoning. He wants His children to know that by accepting His calling we accept to go His way and not our way, which means that we must be willing for Him to move us into a total new direction. We cannot predetermine the Spirit of God. He says we can command the flesh but we cannot command The Holy Spirit for He is Lord and ruler of all. He says that we must learn to trust Him. He wants to remind His children that the mystery of His will is revealed only through His very Word. He wants to teach us so much, but are we willing to learn? He wants us to grow, to grow in His Word. His Word which has and will forever be settled. This morning He wants to reassure His children that He will do just what He said He would do because He as adopted us as His sons. This morning He reassures us that He will never go back on His Word. He wants us to yield to His Spirit and not to our minds. For I Am within you. Do not be afraid when He changes your direction, do not be afraid when He changes the title of your message, do not be afraid for God has got it all in control. We must develop a discerning spirit. We must be sensitive to the Holy Spirit. We can only hear the sweet voice of the Holy Spirit if we silence the loudness of the flesh! We must develop a habit whereby if The Lord moves we move and if The Lord stays we stay. in our lives that initially we will not understand. You may not understand why you’re going through what you’re going through now but trust God He understands. With God there is always a testimony at the end of a test. You might not understand why God keeps telling you to leave that job but trust God He understands. You might not understand why God is telling you to move from where you are right now, you might not understand why God is telling you to stay where you are, but just Trust God for He understands! God wants ALL of you and not part of you. His mysteries are made known through His perfect will. His will is revealed through His Word. His will remains a mystery to those that do not seek Him. Seek He said and you shall find. We seek God through His very Word, the living Word which is Jesus Christ. Remember that our purpose as children of God is to discover His perfect will, and when He reveals His will remember to not be afraid for He said I Am within you, put your trust in Him. He has predestined His perfect will in our lives. He predestined His perfect will in the life of Gideon. Gideon saw a destiny of least, but God predestined greatness. He predestined His perfect will in the life of Abraham. Abraham saw barren, but God predestined the father of many nations. He predestined His perfect will in the life of Moses. Moses saw weak, but God predestined leader! We must learn to look through the eyes of God which is key to unraveling His mysterious will. His perfect will which He has predestined for us His children. He has promised that He will never fail, and His faithfulness is forevermore. He is going to make a lot of changes in your life to get you to where He wants you to be. Remember we are His vessels. We come before Him with emptiness. Ready for Him to pour His very Spirit into us, to move according to His will. We are His servants, we live to serve Him. We serve Him with a heart of worship. We must learn to not just serve God anyhow. We must reverently fear Him, worshipping Him in spirit and in truth. Moving according to the leading of His Spirit. Children of God before we read His Word we must get into the habit of saying Speak Lord. We must get into the habit of saying let it be to me according to Your will Lord. Speak what you want to reveal to me Lord. I move according to the leading of your Spirit. Have Your way in me Lord. And according to the prayer that You taught us Lord Thy Kingdom come Thy will be done on earth as it is in heaven. Children of God The Lord is saying to His beloved children this morning in every situation do not be afraid! For I have predestined My perfect will for your life. I have predestined your calling. The Lord is saying do not be afraid for I Am within You. He says He has called you by your name. He says the world doesn’t know who you are. He says I know you more than even you know yourself. He formed you in your mother’s womb. He says He knew you even before time began. He says your life is in His hands. If only we knew how precious we are in the sight of God. If only we knew how much authority and dominion He has given to us. He says you are Mine, so do not be afraid. Give yourself away to God, so that He can use you for His glory. Give your time to Him. Give Him your will and He shall make it perfect.